Stomach in knots. Clenched fists. Heart pounding. Tear-stained eyes. I expected to be hurt in life, but I didn’t expect it from you. You were a safe place, a trusted confidant. Many of us have experienced the sinking sensation that comes from being hurt by those we love—and trusted—most. Life provides countless moments of disillusionment. Spouses hurt each other in vulnerable places. Friends betray our trust. Churches leave us with wounds. Jesus calls us to step into the messy worlds of those with messy pasts and futures. While some have generally trusting demeanors, many don’t find trusting so easy—especially those with trauma, abuse, or neglect in their pasts. For those operating out of grids of distrust, what can appear like a small step of trust is actually a huge leap of vulnerability. Places of safety in marriages, friendships, and the church can take years to establish. For me, deepening relationships emotionally and spiritually has always been a challenge. The confidence and call I have in Christ, however, leads me out of my fear into the scary ground of trusting people. While my theology informs me that redeemed sinners (myself included) will continually fail and hurt one another, only recently did I experience unintended but real pain within the body of Christ. The scaffolding of trust built over years seemed to come crashing down in moments. Relational disappointments within the church tend to hurt more deeply, since they occur in what we expect to be the safest and most sacred relational space. How are we to respond to such disillusionment? Thankfully, healthy disillusionment offers an opportunity to build marriages, friendships, families, and ministries on the gospel. Simply looking at the word “disillusionment” provides clues to the gifts it offers its reluctant recipients: dis-illusion, to take away illusions. Illusions are lovely bubbles, yet they cannot and will not withstand the blows of life in a fallen world. When illusions are popped, they make space for reality and redemption. Innumerable times a whole Christian community is broken down because it had sprung from a wish dream. . . . But God’s grace speedily shatters such dreams. Just as surely as God desires to lead us to a knowledge of genuine Christian fellowship, so surely must we be overwhelmed by a great disillusionment with others, with Christians in general, and if we are fortunate, with ourselves. By sheer grace, God will not permit us to live even for a brief period in a dream world. . . . Only that fellowship which faces such disillusionment, with all its unhappy and ugly aspects, begins to be what is should be in God’s sight. . . . He who loves his dream of a community more than the Christian community itself becomes a destroyer of the latter. Of course, this is an agonizing process, not an immediate arrival. God welcomes our questions and tears and griefs, as even a cursory glance at the Psalms reveals. When it comes to disillusionment with others and ourselves, he gives us space both to reel and to heal in his presence. Like any good father, though, he refuses to leave us sitting on our piles of popped illusions. He patiently coaxes us, inviting us to rebuild on the unshakeable ground of the gospel. Swallowing gospel medicine, we recognize we’ve been on both sides of disillusionment: We have failed and betrayed others even as we have been failed and betrayed—sometimes intentionally, sometimes not. And armed with gospel hope, we begin, brick by brick, to rebuild a gospel-mediated confidence in marriages, friendships, and families of origin and faith. 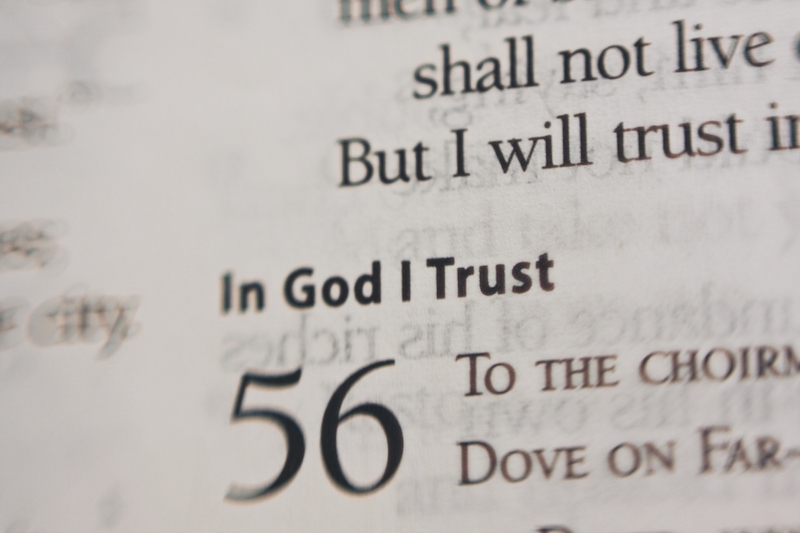 We are called to trust in our Father who weaves all things, even relational letdowns, for his glory and our good (Rom. 8:28). Indeed, the Master we serve experienced relational disillusionment himself—betrayed by the intimacy of a kiss. And on the cross, he experienced cosmic rejection on our behalf. As he who knew no sin became sin, he bore the full displeasure of the Father. Jesus endured utter abandonment for us so that we might never be abandoned by God. Whatever relational disillusionments you face, Christian, you are not alone. The Father watches over you, the Son intercedes for you, and the Spirit lives within you.